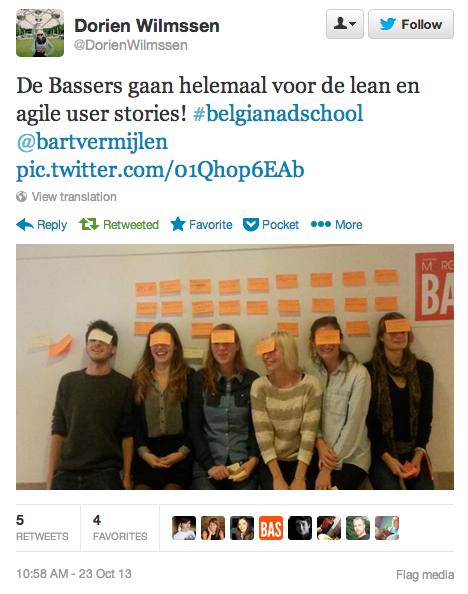 I had the joy and the honour to do a guest seminar at Belgian Ad School on agile project management. I believe that teaching agile project management is really crucial, as students are often confronted with traditional project approaches when they start working. And as they are the future of advertising, there is no better way to change the way companies work by introducing their future workers to agile and lean. Last year I taught the same course during three half day sessions to students that were going to be account & project managers or strategists. The programme evolved, and this year the students are also future creatives. And I only had 3 hours to do the session. Not an easy challenge. Feel free to check out the slide deck. At the end of the session I did a small retrospective, based on Actions for Retrospectives. 3 hours are not much to go in-depth on agile and lean. Especially when you have such a diverse audience. I had to drop cases because of insufficient time. One of the things the students and myself missed. 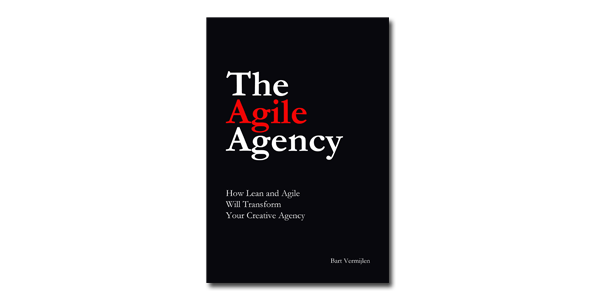 But nevertheless I believe most of them now have a good basic understanding of what agile and lean are. And the picture below shows it was fun too. Intense for beginners, but you did a great job, almost cover all major areas as well stayed in context. I think it is important to give Lean and Agile aspect of managing projects and teams in schools. Least to begin a thought process. Job well done Bart!